Many people wonder if you will actually go through some kind of sugar addiction detox when they break their sugar addiction and the answer is “Yes, you probably will”. I have found the rate at which you go through a asugar addiction detox will vary, though, depending on a few things that I will share in the second half of this article. Health professionals that study sugar and the effects it has in the body call sugar a poison. Woah, wait a minute! I know, that might sound like a strong word put check out my other article on sugar addiction where I into their claim a little deeper. If you have had a poison in your body and you remove the poison, the body can go through a detox phase. What Determines the Level of the Sugar Addiction Detox? I think the biggest factor can be how much sugar you really have been eating. If you are a sugar addict like I was, you have been consuming lots of sugar. This means your sugar addiction detox can be more intense than others who don’t eat it as much. If your brain chemistry is naturally lower in serotonin and beta-endorphins, then you can tend to experience more sugar cravings, moodiness and feeling sad. You can certainly experience sugar withdrawals, as well, which can be headaches, shakiness and irritability. But don’t let those things discourage you! Overcoming my sugar addiction was one of the best things I have ever done for myself and I believe you will feel the same way. 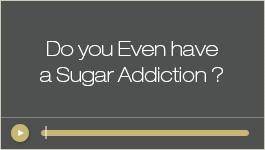 How long you have you been addicted to sugar? Think about it: if you have had a sugar addiction for 20 years, then you have many more things going on in you with sugar then just going through a sugar addiction detox. 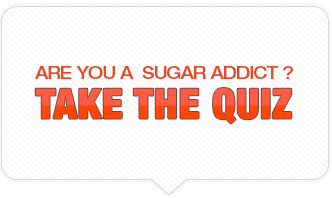 Parts of your sugar addiction are emotional and mental…not just physical. You have YEARS of habits that need to be replaced with more positive and empowering ones. The thing that frustrated me was many people who talk about sugar addiction don’t really address these aspects of it. Sure, you should stop eating sugar because it’s not good for you but what about dealing with being addicted to sugar. That is something that needs to be looked at so you don’t have to struggle , as well, which can be headaches, shakiness and irritability. But don’t let those things discourage you! Overcoming my sugar addiction was one of the best things I have ever done for myself and I believe you will feel the same way. How much you have you used your sugar addiction to cope with stress? If you have been eating sugar instead of dealing with something on an emotional level, when you remove that coping mechanism you may need to face some emotions you have not been dealing with and that can be something you find very unfamiliar and uncomfortable. The important thing to remember is that if you have been addicted to something that is toxic. It would be normal to experience a detox, but it is SO worth it! I struggled with a sugar addiction for 30 years and I am so happy to no longer have to deal with that. If you want some help, too, check out this 14-day system I put together on How to Break the Sugar Addiction and How to Minimize Your Sugar Addiction Detox Effects. 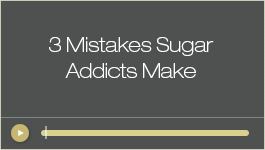 Also, check out this other great tool, another FREE video that I made for you called, ‘The 3 Mistakes Sugar Addicts Make and How to Avoid Them’.